Bain & Company, a business-consulting firm, asked leaders of 362 companies if they felt their companies delivered superior customer service. 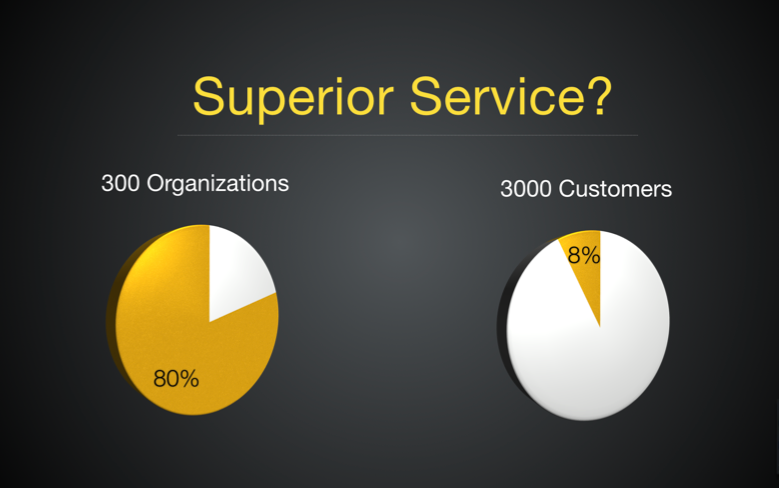 80 percent believe that the service they provided was indeed superior. What these companies didn’t know was at the same time, Bain & Co. was surveying over 3,000 customers, asking them if they felt they received superior customer service. Only 8 percent of customers surveyed described their experience as superior. How can 80 percent of the companies think they are providing superior service, but only 8 percent of their customers agree with them? Who’s right?